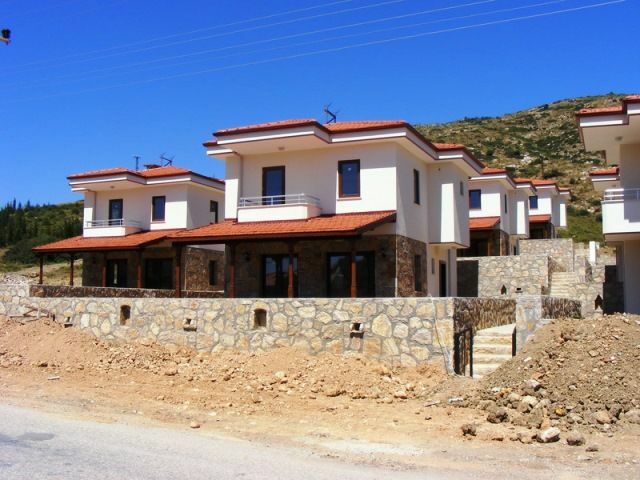 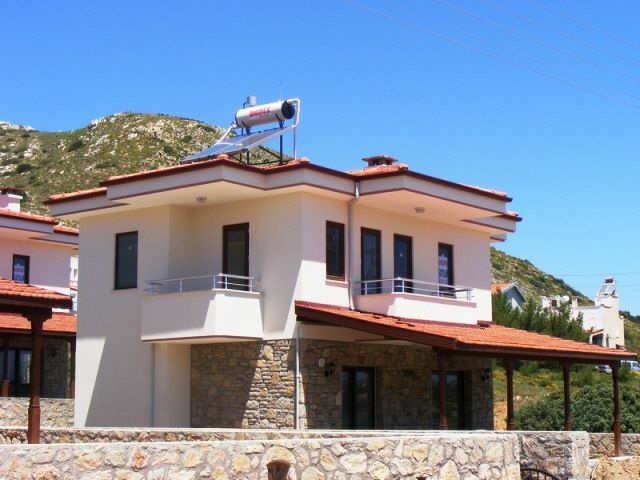 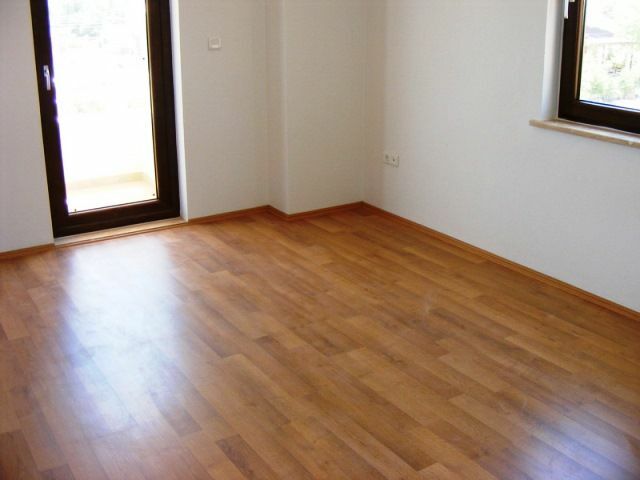 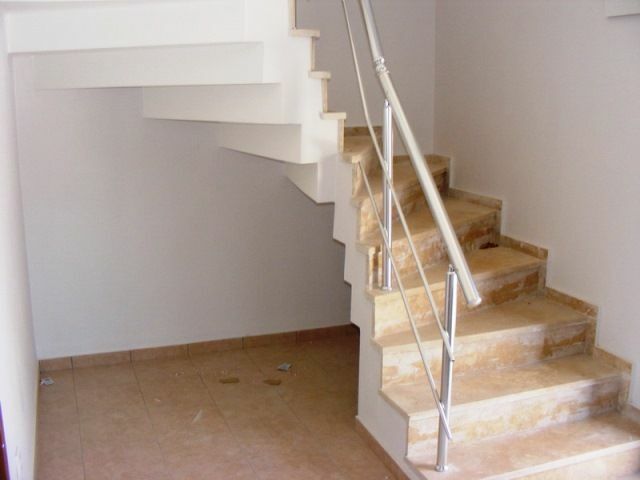 Detached Datca villas for sale 3 bedroom . 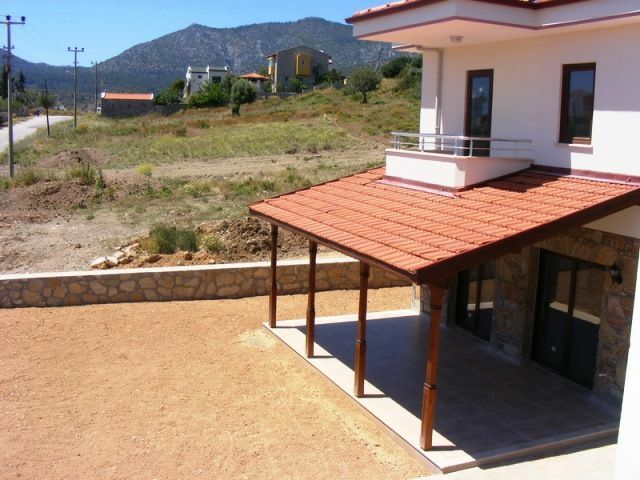 Turkey property for sale Datca . 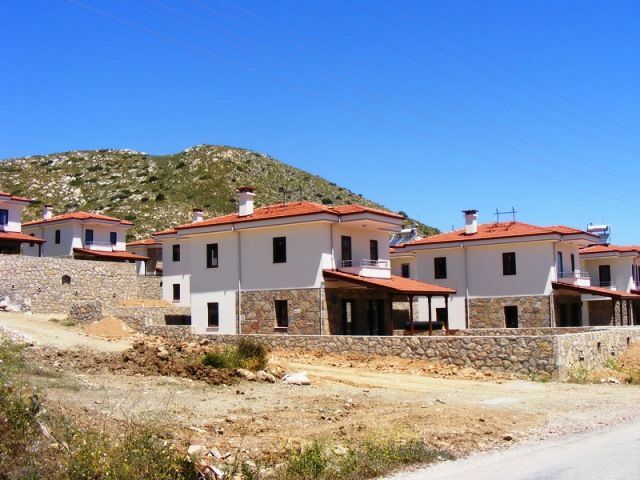 In total there are nice detached villas now with only two remaining for sale . 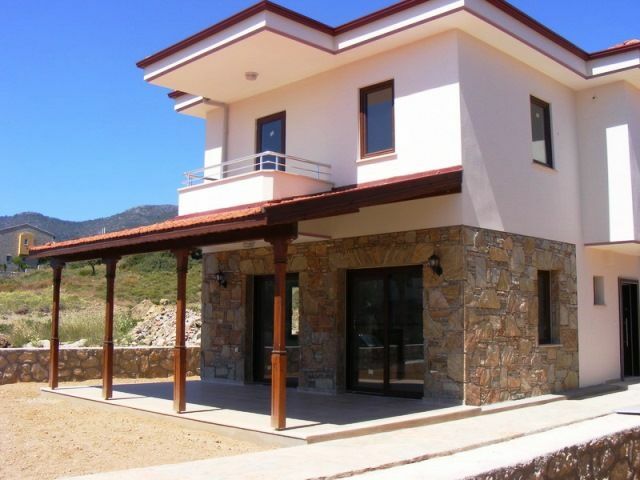 Each villa is private with its own plot of land surounding 380sqm . 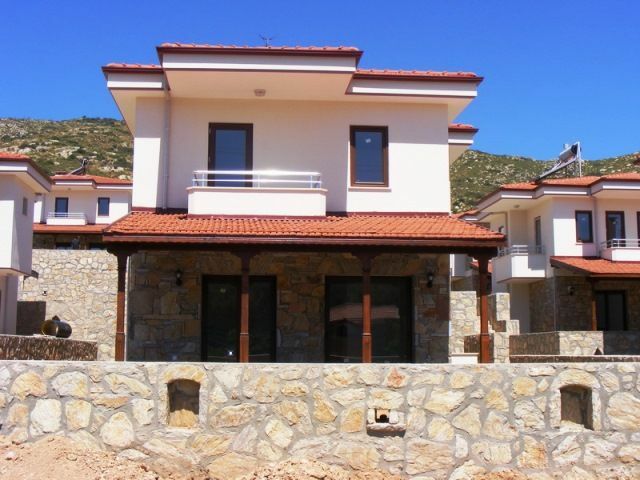 Constructed to good quality the property provides excellent comfortable living accomodation close to the seaside of Kargi yolu Datca . 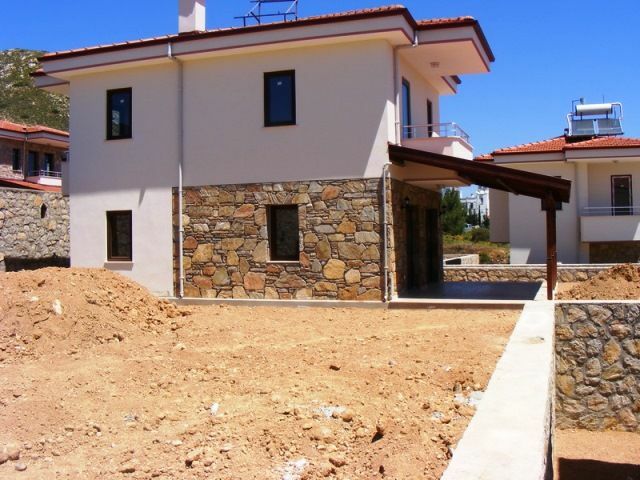 Set on slightly elevated land with mountain backs and nice countryside views. 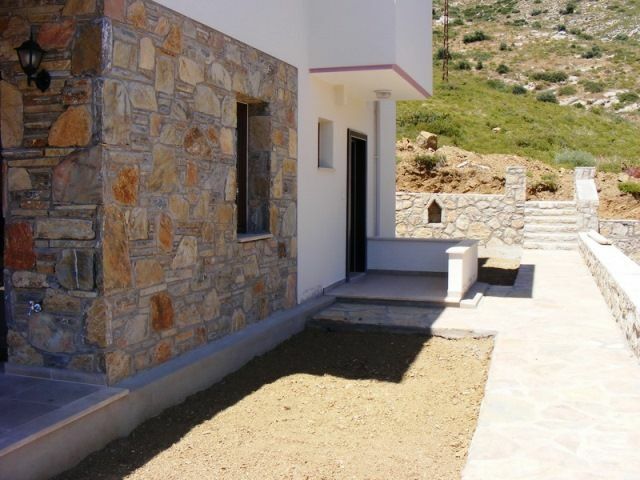 Each villa is duplex style with ground floor entrance with downstairs wash basin and toliet . 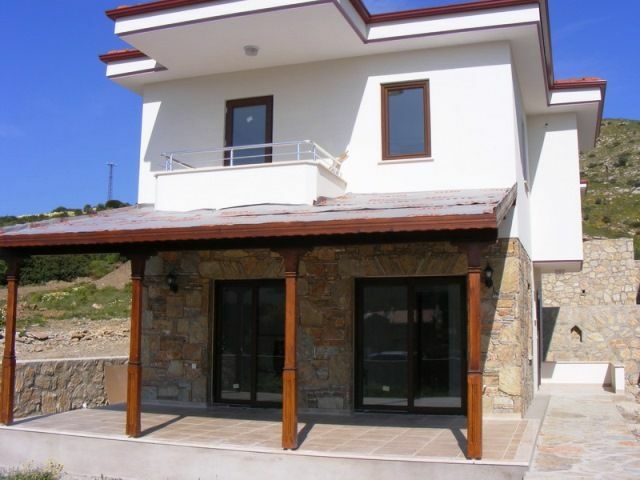 Separate fully fitted modern design kitchen . 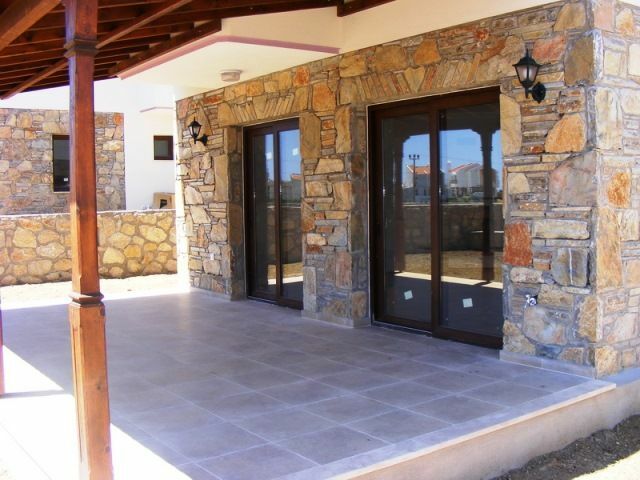 Hallway leads to dining and main lounge with fireplace and patio doors opening onto front covered terrace area . 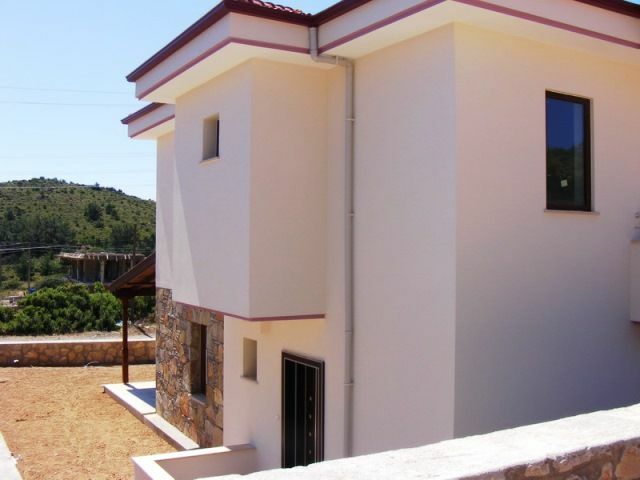 Upstairs leads to 3 good sized bedrooms and 2 bathroom suites .